Rudy is an energetic 11 month old Beagle cross who is full of beans and looking for his dream home. 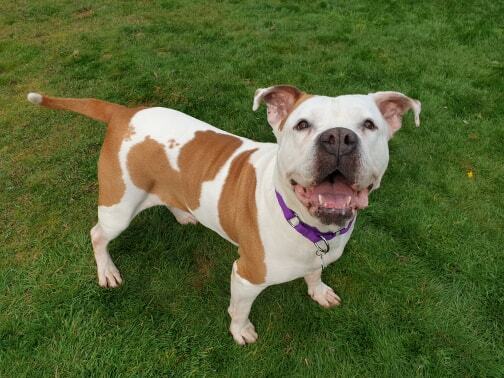 Rudy is friendly, bouncy and loves cuddles! He is a VERY clever little guy who needs a very active new home who can give him a lot of exercise, and also a home where he will attend training classes to keep his mind busy to make sure he’s a happy well rounded boy. He would love scent work and possibly something like agility. He is quite highly strung and ‘clingy’ with people, and is vocal when he’s apart from people, so keeping him in a good routine and well exercised is a must and will help him settle. 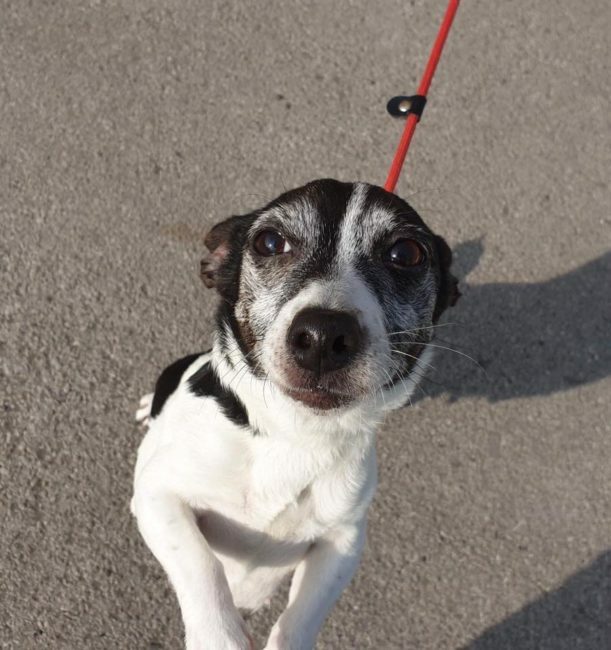 Rudy is excitable around dogs, he shows no aggression whatsoever, but doesn’t take no for an answer at the minute and is quite ‘humpy’ with dogs – he has just been neutered, so hopefully this will ease, but he would be way too much for a timid or older dog. 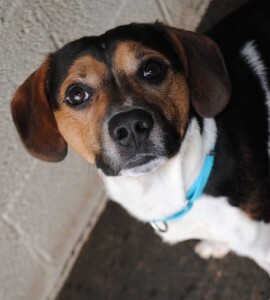 We would like to see him in a home with a playful, stable dog who will teach Rudy some manners! He isn’t cat tested. He would be fine living with children aged 10+. Rudy will need a home with a very secure garden.